We receive so much support from the community that we look for opportunities to acknowledge that assistance. Recently, while traveling the lake at the start of our Farm, Forest and Fishery Tour; Sailing for a Healthy Land and Lake, we had an opportunity to visit the Shelburne Shipyard and thank a marine sponsor that has helped make this outreach program possible. The Shelburne Shipyard has great history. In 1797 the property was acquired by Nathan White and was actively used for shipbuilding. 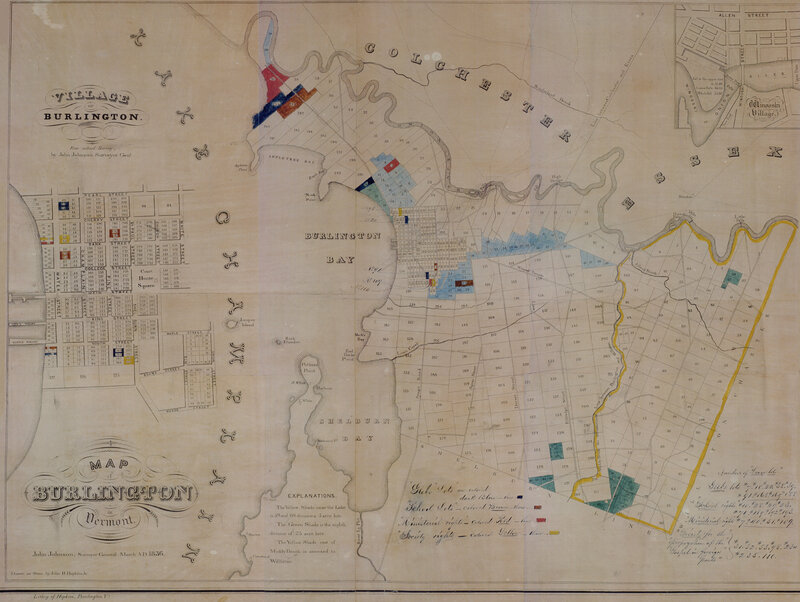 Nathan’s sons, Andrew, Robert and Lavator, were all involved in the emerging maritime community of boat builders and operators and after their father’s death in 1826 they acquired the property then known as “White’s Bay”. 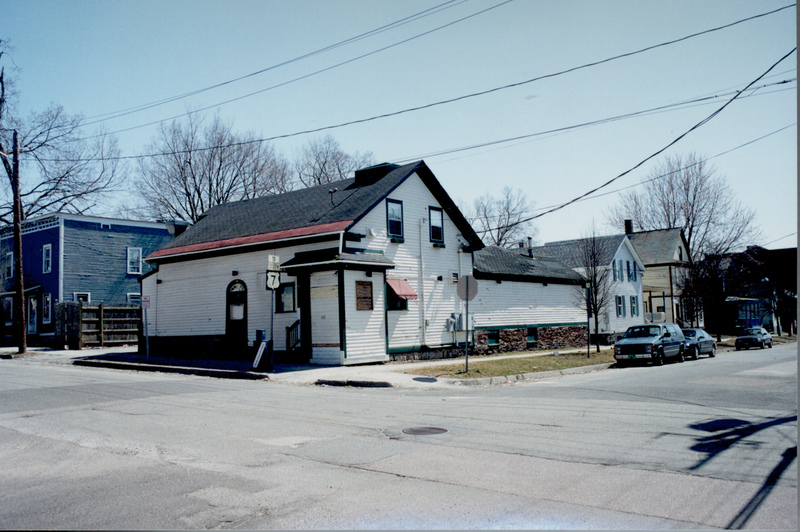 Some of you might recall that more than a decade ago, LCMM acquired and restored the “Captain White Place”, a historic Burlington home on King Street built by the brothers in the first decade of the 19thcentury. Lavator and Robert bought out Andrew’s interest in the Shipyard and remained on Shelburne Point for the rest of their lives. Both were actively engaged in building and operating vessels on Lake Champlain and it was the two brothers who sold a portion of their land to what became the Champlain Transportation Company. For the next five-decades, Lavator White was the master shipwright for the steamboat company and he superintended the construction and repair of many vessels. 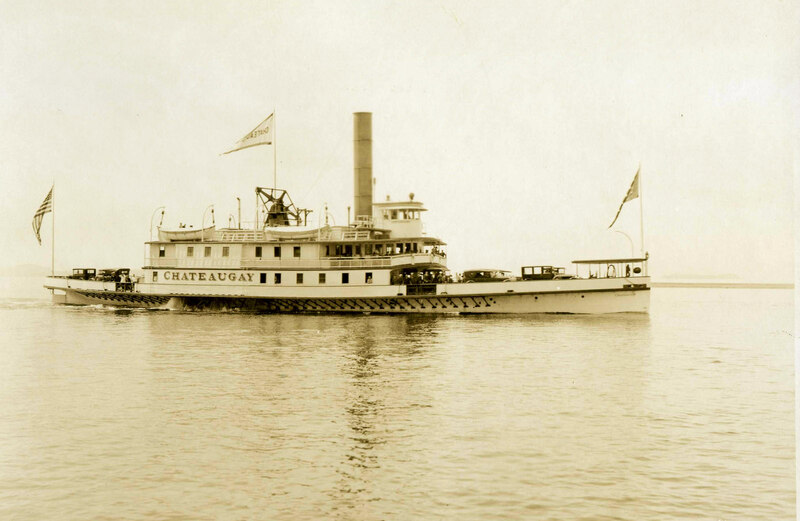 The last steamboat built under his supervision was the Vermont II, perhaps the finest and most elegant vessel of its kind ever to operate on Lake Champlain. By the early 20th century, the lake was in the midst of a transportation revolution with the palatial steamboats already impacted by railroads now giving way to the internal combustion engine. The steamboat company and the Shelburne Shipyard fell on hard times. In 1937, Horace Corbin of South Hero bought the steamboat company’s assets which included the Shelburne Shipyard and although he had high hopes, Mr. Corbin almost immediately found himself in financial difficulty. 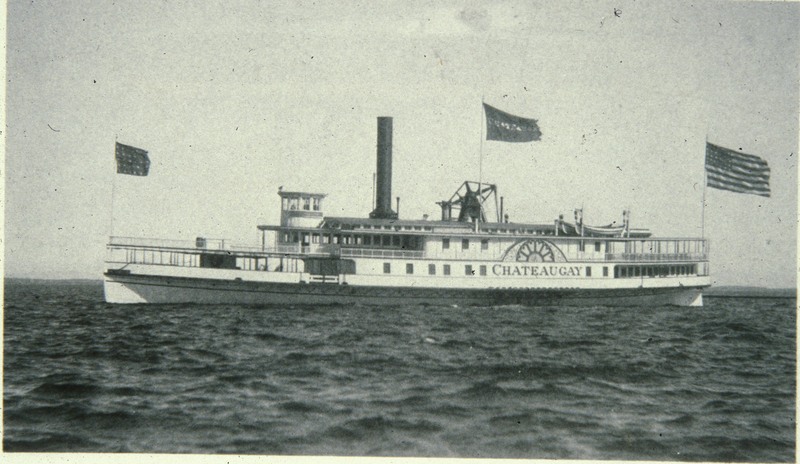 As fate would have it, a fire on an excursion boat on Lake Winnipesaukee would enable him to sell the steamer Chateaugay to as a replacement vessel. 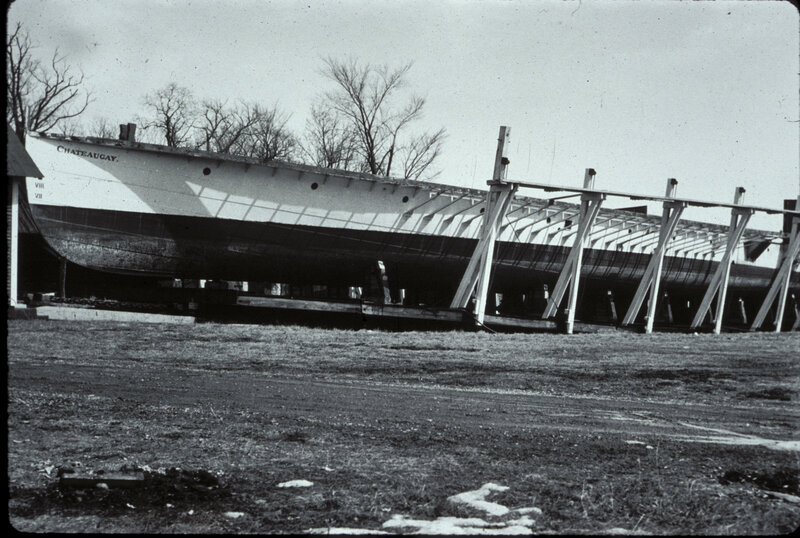 The hull of the Chateaugay was cut into 20-sections and shipped overland by train and reassembled on the shore of the New Hampshire lake. Today the ancient hull of the old Lake Champlain steamboat (1888) it still plies the waters as the Mount Washington II. While the sale of the vessel helped the new owner, Mr. Corbin was about to face a new obstacle, World War II. At the outbreak of the war, Horace Corbin found himself in a classic “Catch 22”; the Shelburne Shipyard was the only facility on Lake Champlain qualified to bid on military contracts but because of its financial situation was prohibited. Corbin sought to get around the prohibition by leasing the Shipyard to the Donavan Construction Co. from Minnesota, which wanted to build wooden subchasers for the war effort. The 110-foot wooden warships were the smallest commissioned ships in the Navy and in the summer of 1942 the Donavan Co., under the supervision of Jerry Aske, Sr., launched SC1029 and SC1030, the first two military vessels into the waters of Lake Champlain since the War of 1812. I have been very fortunate to have had the generous assistance Jerry Aske Jr. which has allowed me to research much of the career of SC1029, but that is a story for another day. 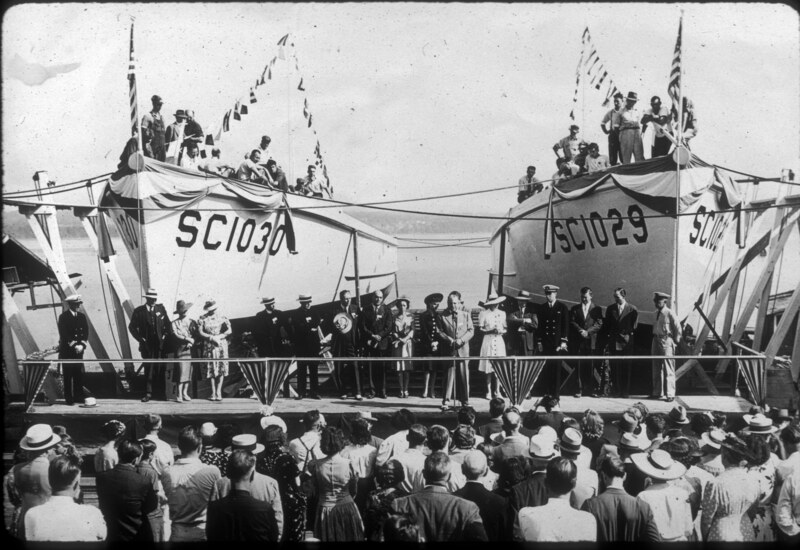 After the war, Jerry Aske Sr. and his brother Wendell purchased the shipyard from Horace Corbin and they in turn, sold it some 22-years later to Horace Ransom and Robert Montgomery. The Aske’s retained property on the south side of the harbor and LCT has retained the Crandall Marine Railway, built in 1929 to haul the big steamers in and out of the water. In 1971, Steele and Terry Griswold purchased the Shelburne Shipyard and today Mary Griswold operates the historic shipyard with a dedicated and experienced staff. 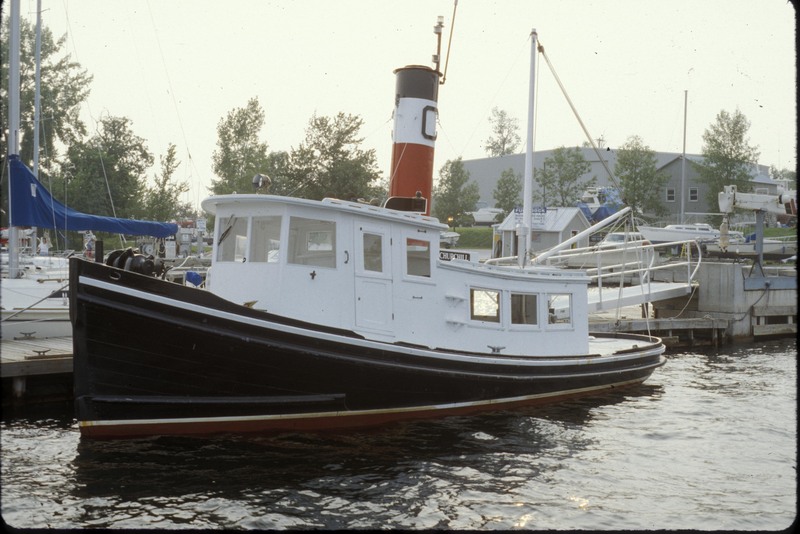 In 2005, we were in desperate need of an efficient towboat and the Griswold’s loaned the tugboat C.L. Churchill to the museum for the Lois McClure’s Inaugural Tour. After that first season, the Griswold’s, hearing how well the tugboat suited the new outreach operations needs, donated this wonderful workboat to the program. Beyond donating the tugboat, the Griswold’s also donated the annual launching, retrieval and storage for the tugboat into the future. I have often written about how well the Churchill is suited for this operation and how our respect for the C.L. Churchill continues to grow. I have communicated to the Griswold family our gratitude for this “gift that keeps on giving” therefore when we learned that the Shipyards annual barbeque was scheduled for a time when we would be in the area, we happily offered to bring the Lois McClure and her tugboat to visit the Shipyard. For the Lois it was her first time at the Shipyard being open to the public, but for the Churchill it was a homecoming as so many of the visitors and Shipyard crew had such personal and fond memories of the little tug. The visit was fantastic and satisfying and we arrived in time to host several hundred Shipyard folks aboard the vessel and in a small way say thank you to the Griswold family for their generosity, confidence and encouragement. It was a truly glorious evening.